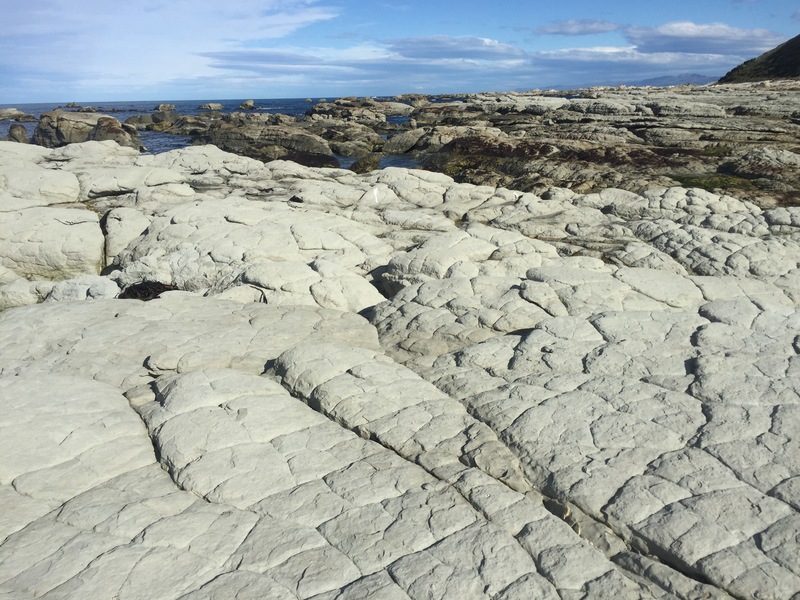 On Wednesday 3rd May 2017, we got up and out the house by 6am and drove 3 hours to Kaikoura. 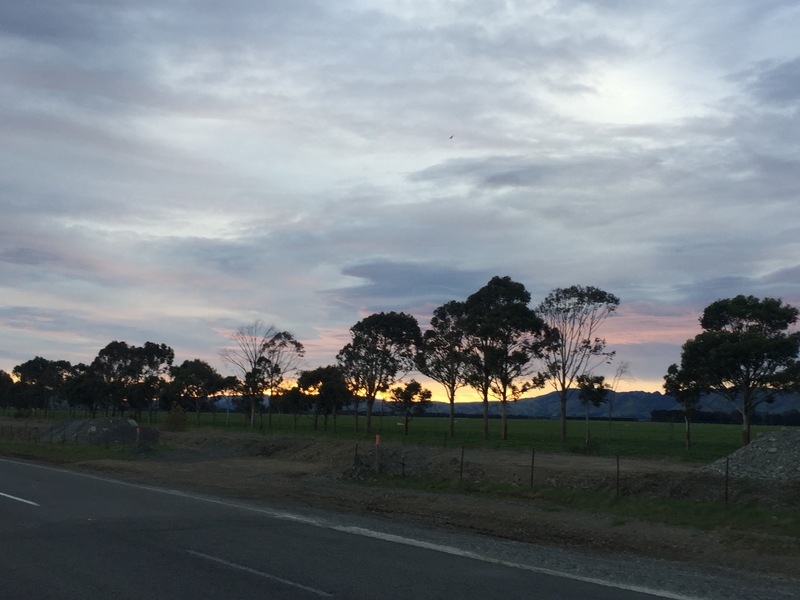 Since the earthquake has caused damage to the main coastal roads, our Kiwi Experience tour doesn’t go there and you can now only get there via an inland route. 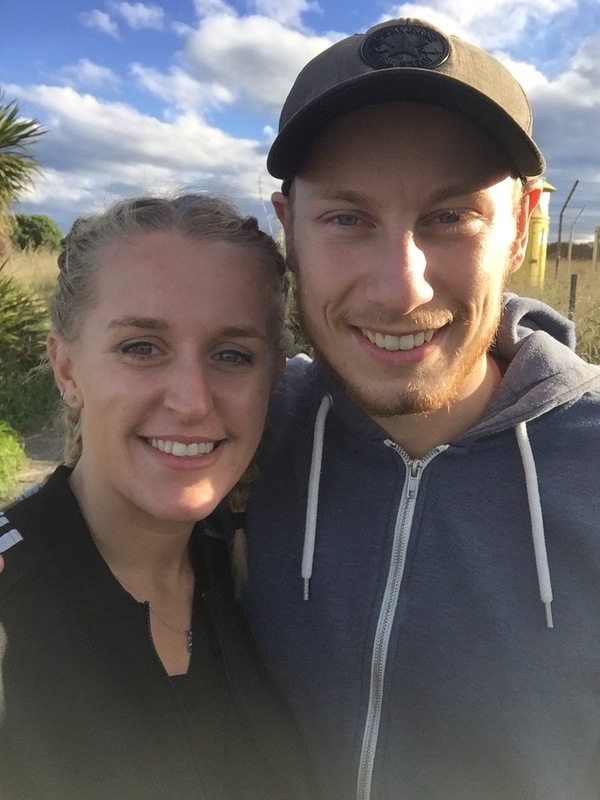 Although if you have your own transport it’s pretty easy to get to from Christchurch. 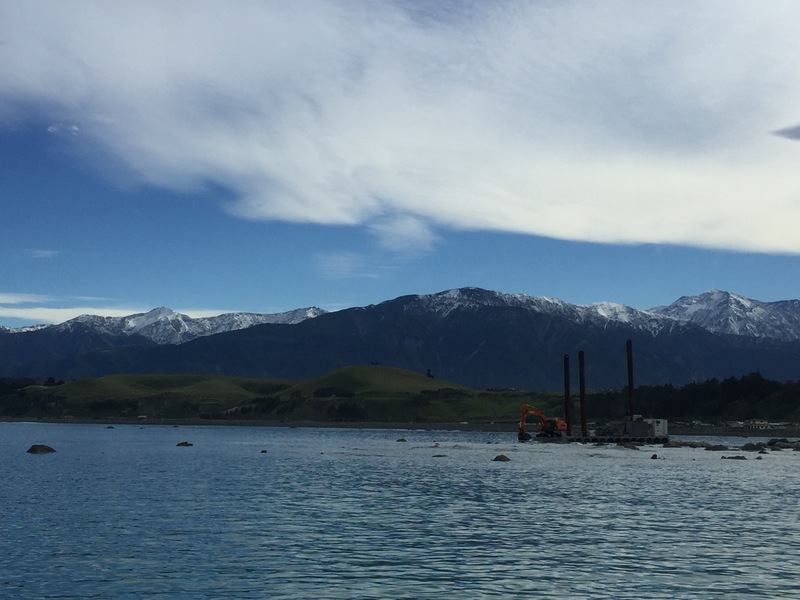 Kaikoura is known for its whale watching which was the main reason for us to go there. We thought we had to check-in quite a bit earlier for our whale watching tour which is why we had left so early. That didn’t end up being the case but we were lucky enough to get put onto an earlier boat trip which meant we didn’t have to wait around. The whale watching trip was amazing. 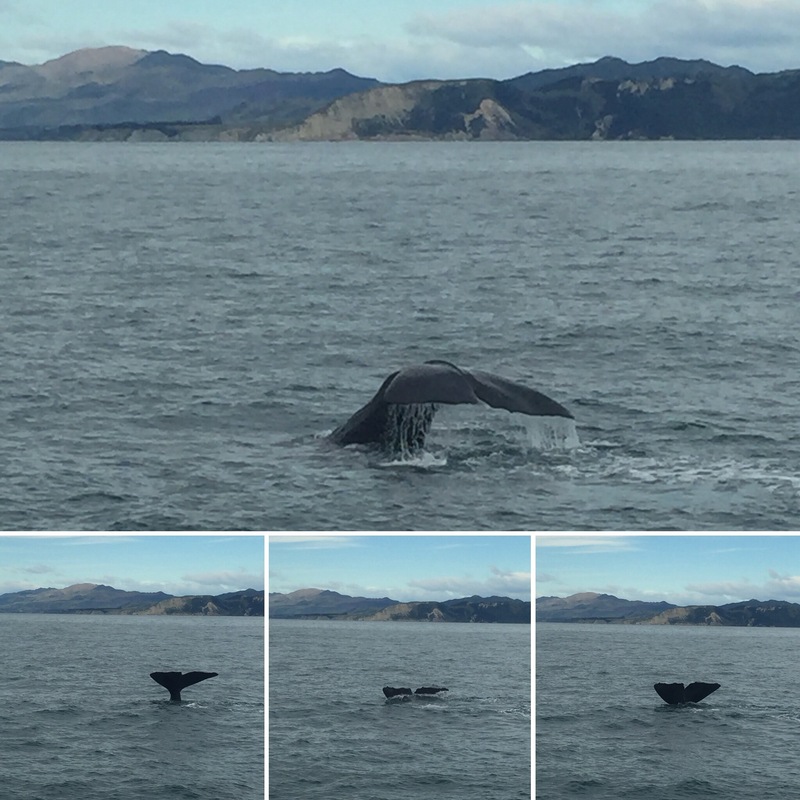 We saw 2 sperm whales, one of whom we saw on two separate occasions. 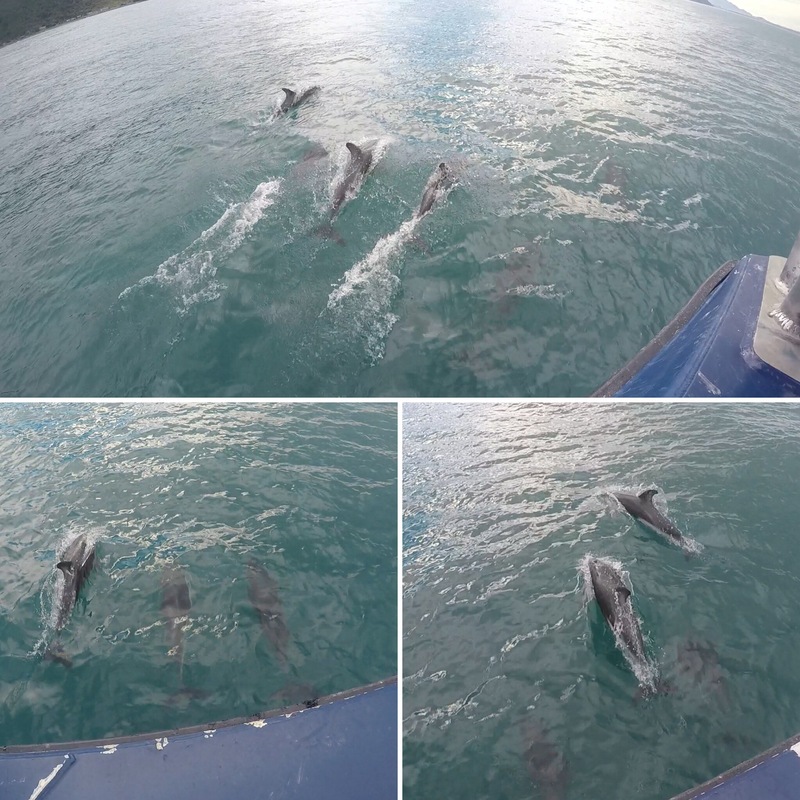 They’re enormous and sit on the surface of the water for around 10 minutes. They then raise their head and start to dive down into the depths of the ocean. The last thing you see is a giant flick of their tail in the air which is so cool to see. 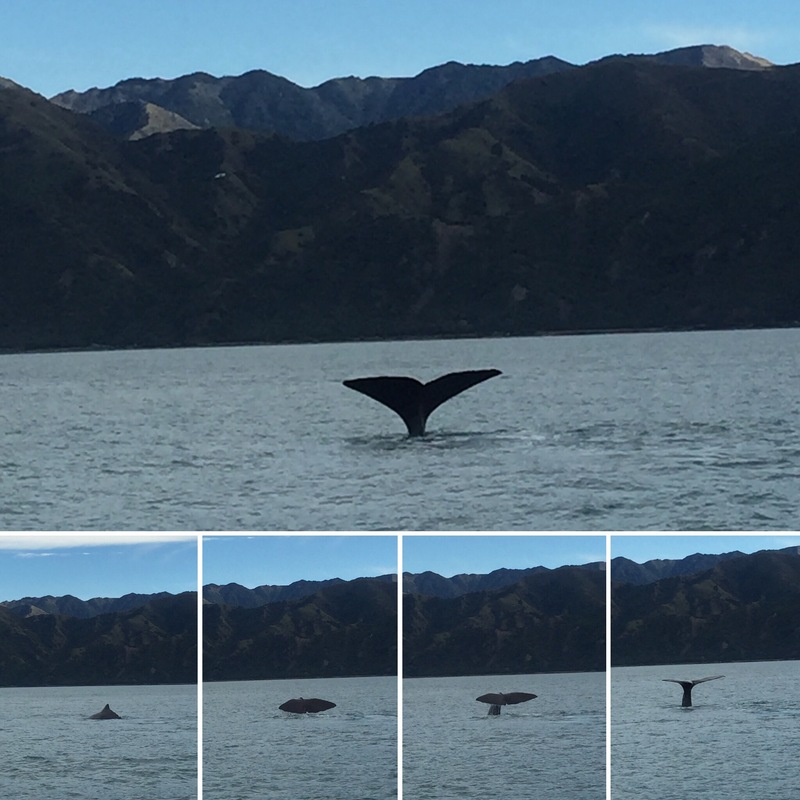 I thought it would take ages before we saw a whale but in no time our guide was telling everyone to get to the side of the boat! One of the sperm whales was call Tiaki and the other was called Manu. 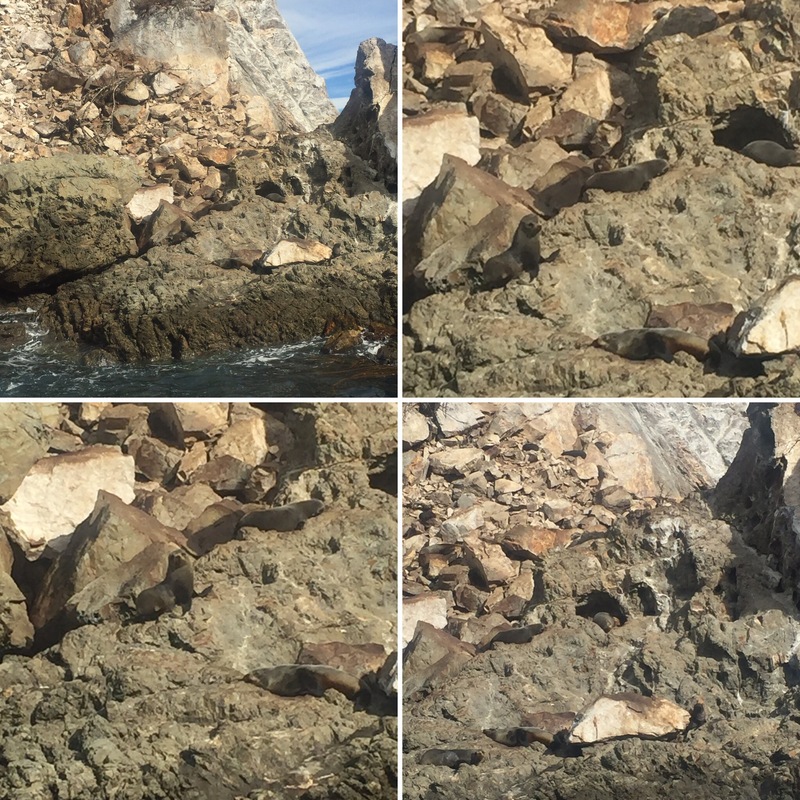 It was nice that the crew could recognise the different sperm whales in the area as many of them were residents in the bay for a big chunk of the year. What made this even more incredible was that there was a beautiful backdrop of mountains which, in itself, was truly stunning. 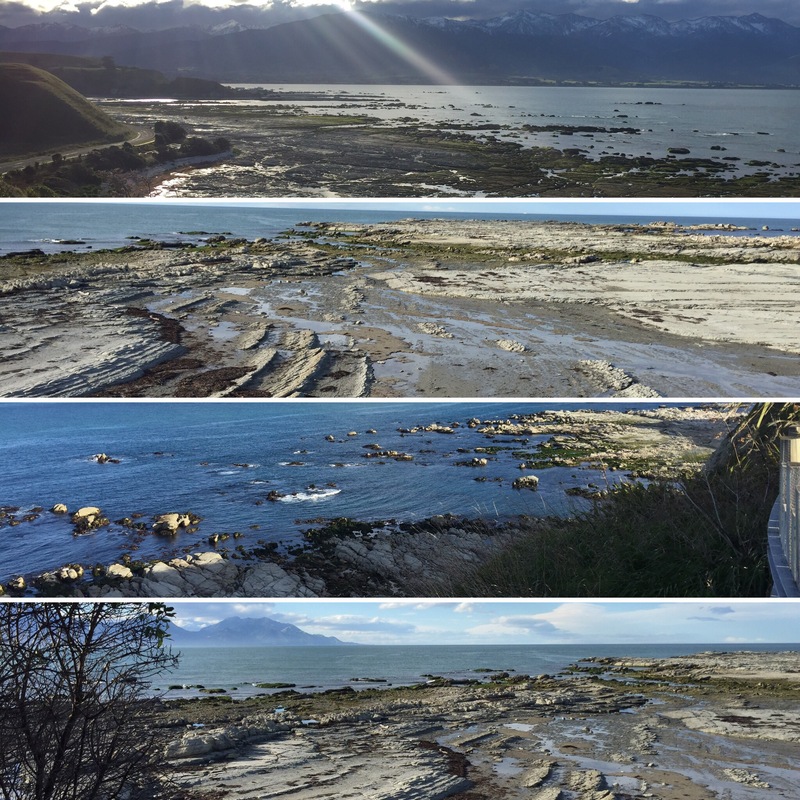 We didn’t know much about Kaikoura so I had no idea that they had so many mountains around it. 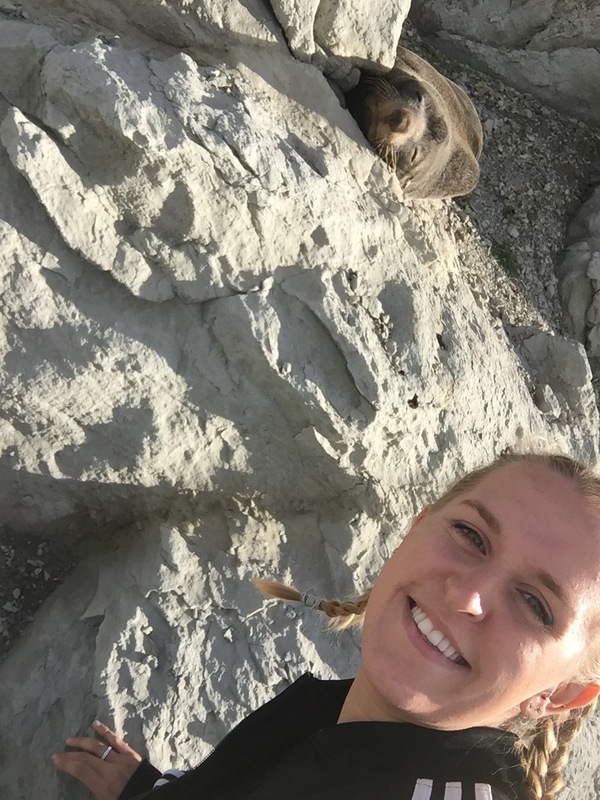 The tour ended by showing us some seals on the rocks and it smelt really bad being on the boat around there, apparently because of their oil on their fur. 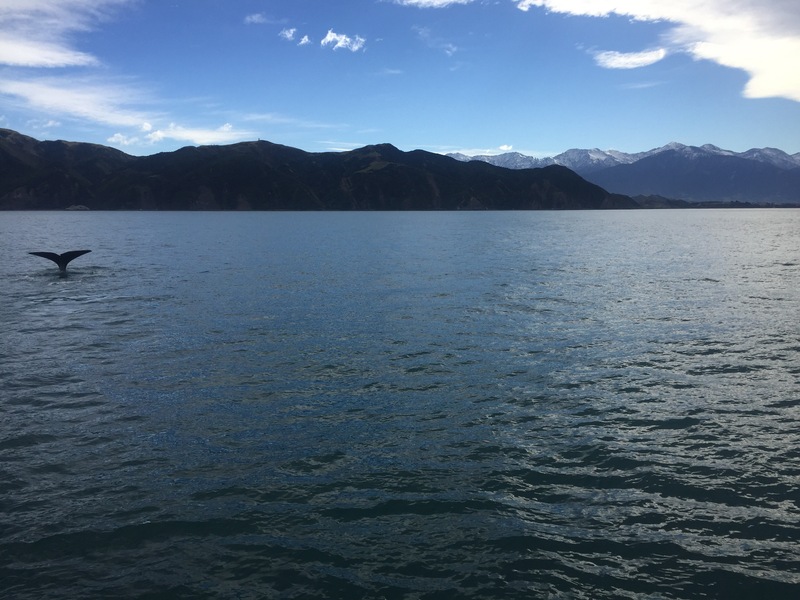 Although the wind was cold on the boat we had a clear, calm day which we were really thankful for. 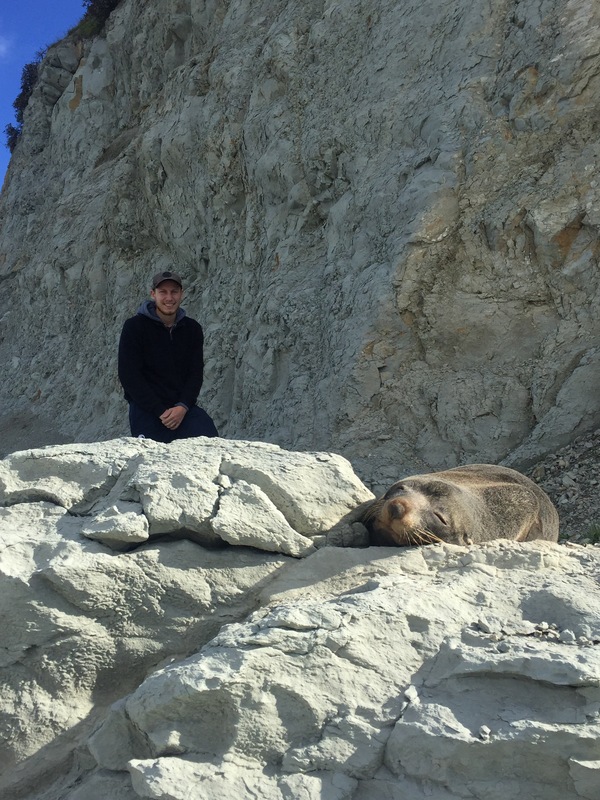 After the tour, as we were only there for a day trip, we went to the peninsula which is known for its large inhabitants of seals! 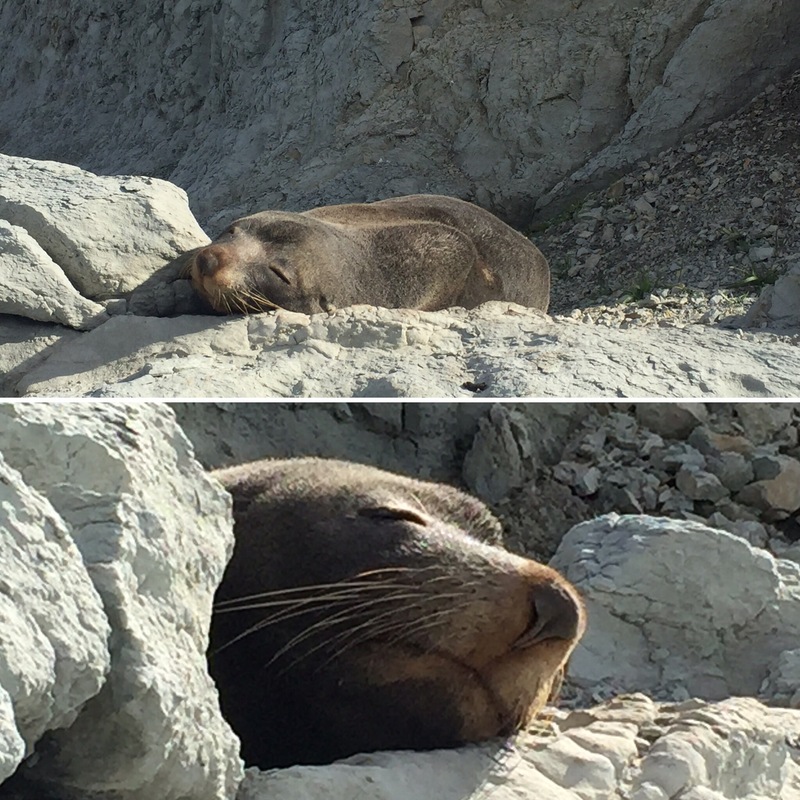 There was one seal – probably my favourite – that was asleep on a big rock quite near to the car park. 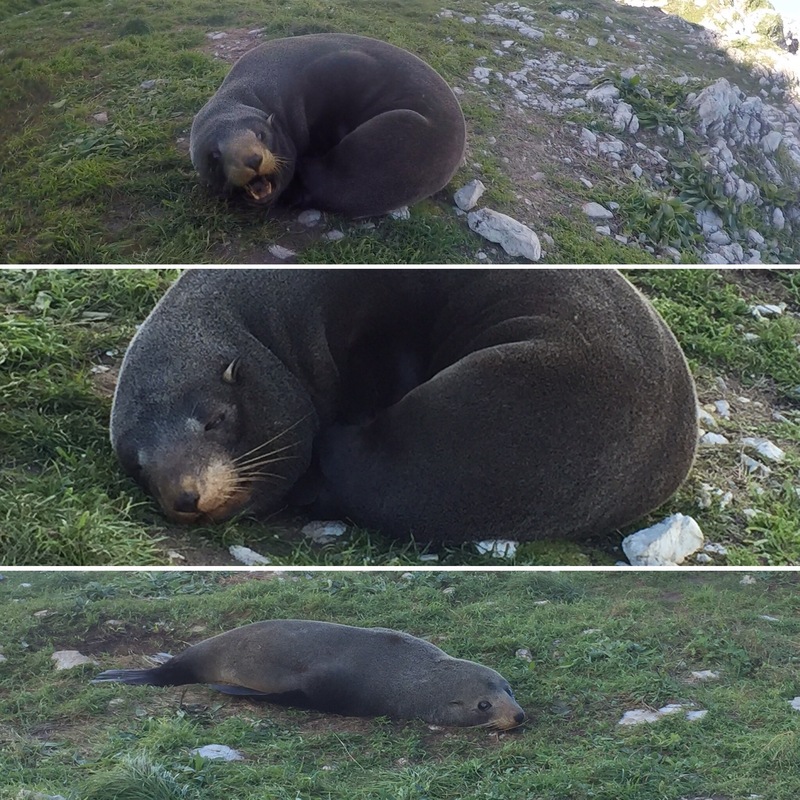 It was so cute and we were able to get quite close to it without waking it up! We then walked further along the peninsula and found loads more seas, mainly sunbathing in the sun or splashing in the sea. 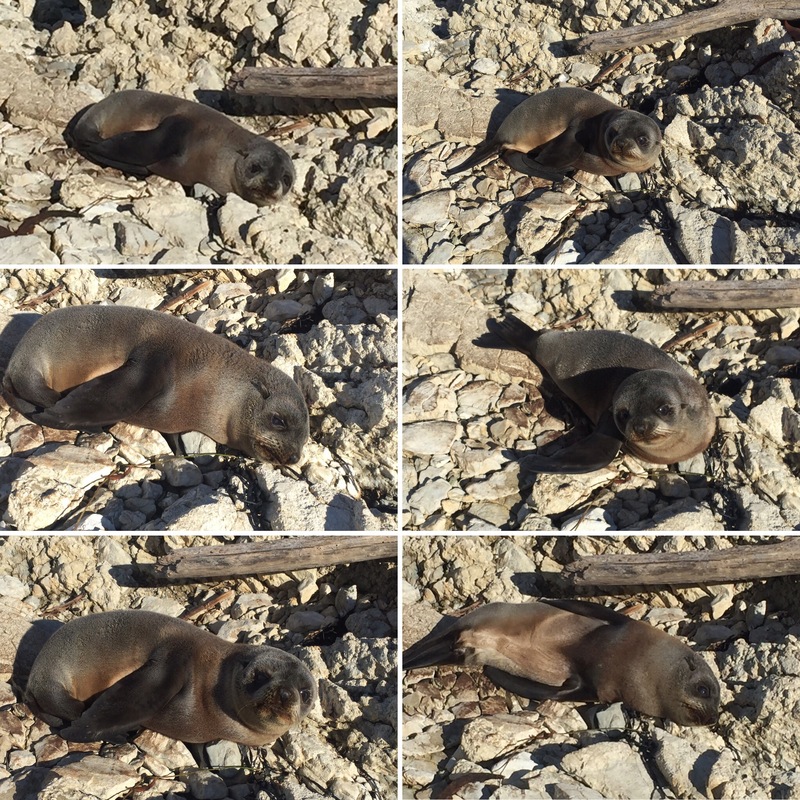 We got really close to a baby one before it started to look a bit uncomfortable so we backed off and there was one lying on the grassy path who bared its teeth and growled at me when I went near it – it gave me such a shock and I backed off really quickly! I don’t know if seals do just sleep for most of the day but they were pretty much all asleep when we went along the peninsula to see them. When we got back to the car there was even one asleep on the wooden walkway! We sat by Lyell Creek which is part of a riverside walkway through a park and walked around the town. 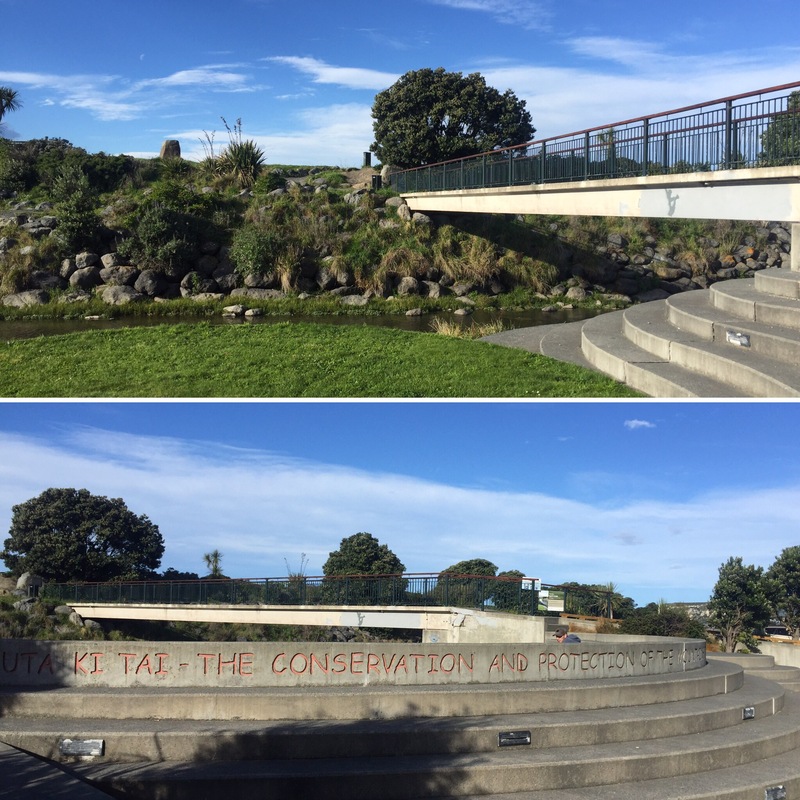 It was a lovely, sunny day which we felt really lucky about as we had had more rain since being in Christchurch. 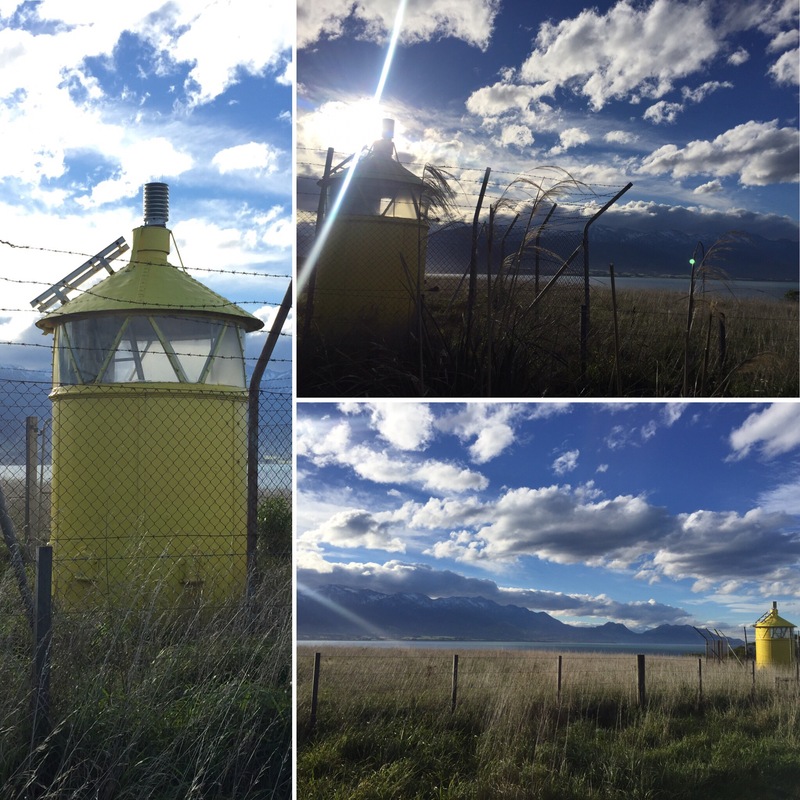 There was also a lookout (Point Keen Lookout) at the peninsula that shows the whole area of Kaikoura and out to sea. 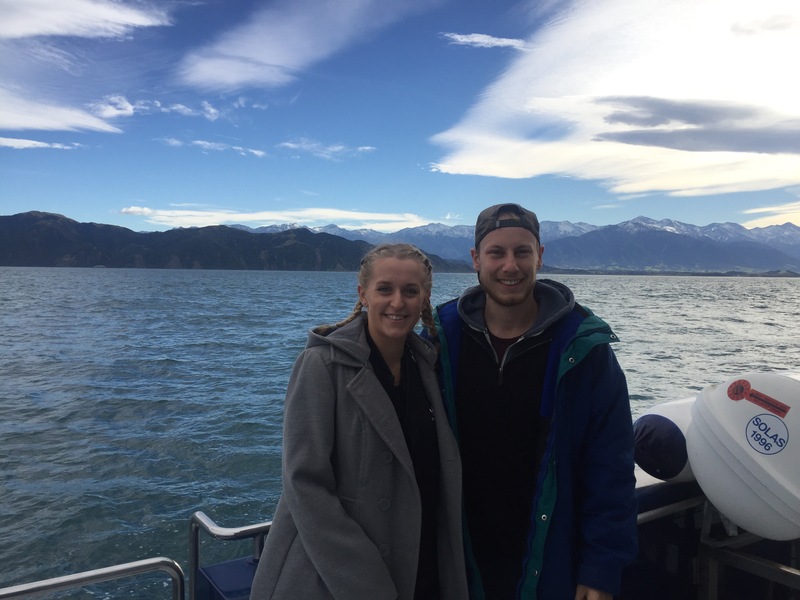 It meant you could see some of the damage from the earthquake which was especially interesting as we were then able to compare this with Dan, who’s from Kaikoura, when we got back to Sophie’s on what it was like before. On the way back, it was getting dark so we got to see the sunset. I drove us the majority of the way back and we had been slowed down by a huge herd of cows making their commute from field to field. 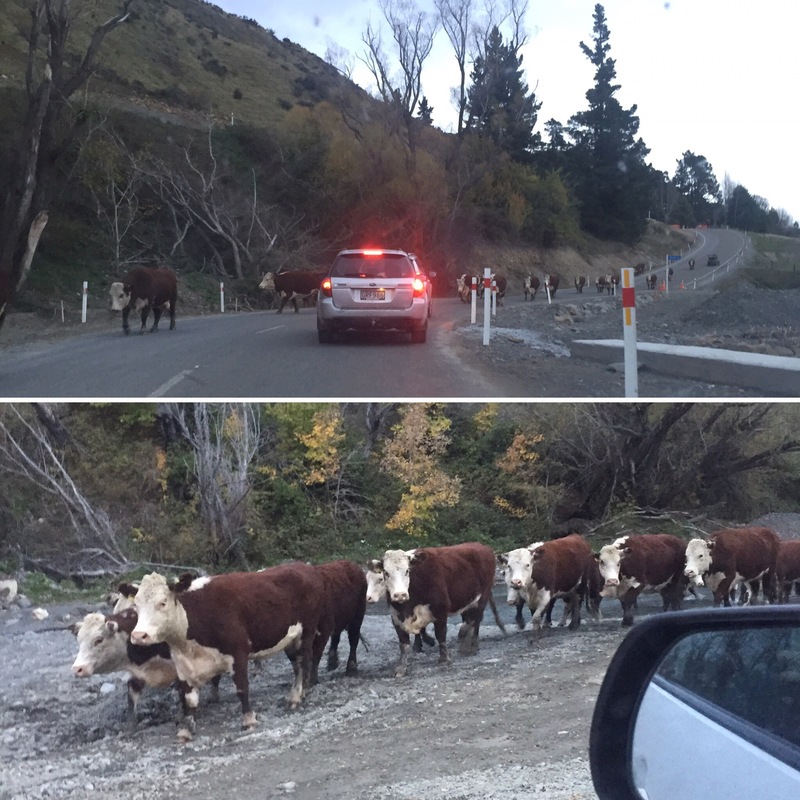 It was really strange driving alongside a bunch of cows and another experience to add to the list. 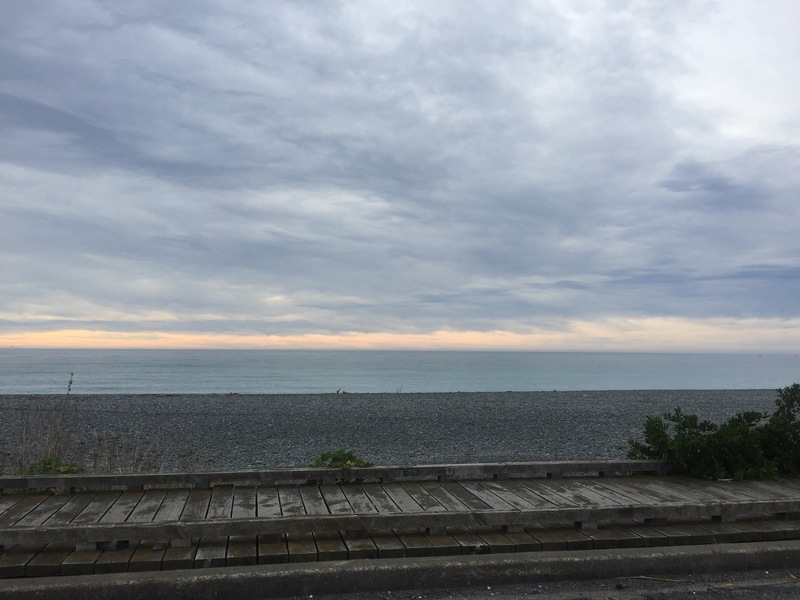 We had such a lovely day in Kaikoura and felt very fortunate that Sophie had been able to lend us her car so that we could go. 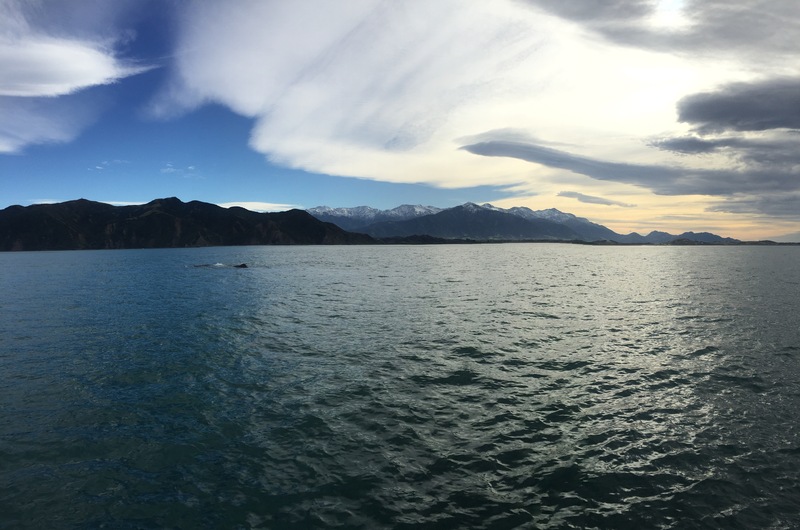 Seeing the whales was amazing and I would definitely recommend getting to Kaikoura if you had the chance!